140,000 Labourers from China helped dig trenches for the Allies on the Western Front. Over the course of the war the Allies managed to produce more than 6,500 tanks. World War 1 was the first time aircraft were used in battle. The average life expectancy of a WW1 fighter pilot was just a few weeks. Over the course more than 12 million Allied and Neutral tonnage was lost as a result of German U-Boat attacks. 5 thousand German soldiers lost their lives serving in U-Boats during WW1. When war broke out the government asked for 100,000 volunteers to join the army. They got 750,000 in the very first month. The number of employed women in Britain rose from 3.2 million in July 1914 to almost 5 million at the start of 1918. The First World War was a watershed moment in European history. Survivors were disillusioned and felt betrayed by the men who had sent them to war. The conflict planted the seeds for the rise of fascism in Germany as well as in other European Countries. 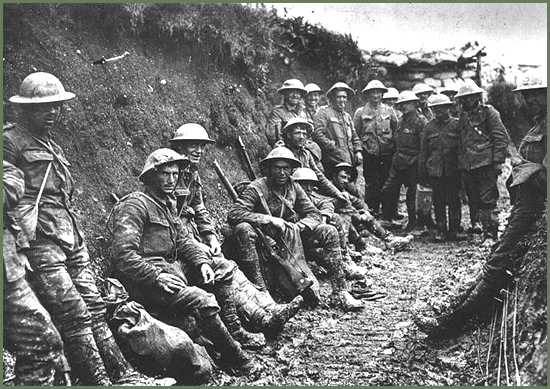 WW1 Facts is designed to help you find reliable information about world war 1 as quickly and easily as possible. Between 1914 and 1918 more than 15 million men and women lost their lives as a direct result of the conflict, making it one of the deadliest wars in all of human history. WW1 Facts, as the name suggests, will bring you all the facts about world war 1 and present them in a manageable form. There’s information about trench warfare and life on the frontline, the weapons and equipment used in the conflict, the soldiers and civilians involved and much, much more. So whether you’re keen to learn about the Battle of the Somme or are just looking to read some world war 1 poetry WW1 facts is the perfect place to be. Hopefully you enjoy reading these WW1 facts as much as I enjoy finding them. All the facts have been checked, and double-checked, and are correct to the best of my knowledge. As nearly 100 years have passed since the end of World War 1 facts are never going to be one 100% accurate. Historians never seem to agree with each other but where major differences occur I’ll be going with the consensus. If you’ve got any WW1 facts of your own that you’d like to share please don’t hesitate to get in touch. I’d love to get as many of them as possible up on the site.